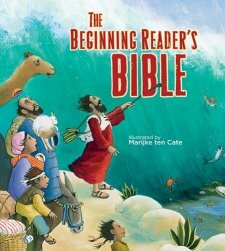 This is a rather large children’s Bible designed for young children with a selection of stories from both the Old and New Testaments. I like that it uses an easy translation of the Bible to tell the stories rather than paraphrasing or simply retelling the story. Although, using scripture makes it more difficult for those children wanting to read it for themselves. The illustrations are nice but not the best I have seen. There is a good representation of the most popular and significant stories from both the old and new testaments, beginning with creation and ending with a simple depiction of Heaven from Revelation. The Bible also has several other features typically found in the newer children’s Bibles, such as memory verses and simple projects to apply the lesson. Another feature I like is “Pray God’s Word”. With each story, they have a scripture to be used to pray pertaining to the lesson of the story. I think many Christians today have difficulty praying God’s word and so I think this feature is a gem! 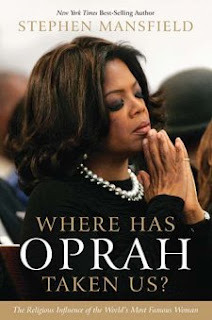 In the back of the book are lyrics for several songs, several famous passages from the Bible (like the 23 Psalm) and several lists, like the tribes of Israel, and the ten commandments. It also has a reading checklist and a memory verse list. It also includes a prayer of salvation. One major flaw is the lack of page numbers. It has a table of contents including page numbers, but none of the actual pages have a number, so one must count as they turn the pages. I find this rather comical and annoying. I think this Bible has a limited life, it is too large and easy to tear for the real young, too big and bulky to be taken to church, and too simple for a child that is beyond a beginning reader. I would want a complete Bible for my child once he is old enough to understand the Word and read beyond the beginning level. The Bible is good for what I was looking for: a Bible for my 5-6 year old that he could look at and enjoy till he is ready for a real Bible. He may even be able to read it soon. a. There is a better selection of water drinks, but much fewer yogurt options. Saturdays. Everything is closed on Sundays (like Germany). cheap. I had MANY options in Dresden. e. Everything tends to be more expensive here. 2. The accent and dialect Austrians use is difficult for me to understand sometimes. I had just trained my ear to the Saxon dialect and accent and now I am rather clueless. the Austrian and they use pumpkin seeds and pumpkin seed oil here and it is delicious! This area is also known for their apple dishes, much to Jason's delight. blessed each child today on their way out of the Church after the 1st grade program. That is all I can think of at this moment. I hope to be able to write more often with thoughts and observations. First, more German families are having 2-3 kids and I know a family that is expecting their fourth! This helps our family to blend in better (I hate to standout!). Second, it means that there are more potential friends for us, our kids and more people with whom to share the Good News. It also means new members to the church and potential co-laborers. I have never really enjoyed shopping in Europe for many reasons but as we get new stores and I discover more gems, I have begun to enjoy it more. With all these new stores and malls, I am going to really miss Dresden this next year. And, now there are fewer reasons to need to shop on our stateside trips.